I’m about 4 month’s into my role here at HeadRed (great place btw, a smorgasbord of creativity!) and during this period I have become particularly interested in Local SEO having seen a few drastic changes in local search. It’s become increasingly hard to rank locally, and I’ve been researching this of course to stay ahead of the curve for our clients. So I just wanted to share some of my findings with a series of blogs that I hope will help businesses consider the basic steps to rank locally, and maybe engage with other SEO’s to see what they think. I would like to start with exploring the optimisation of several areas at once. As I see it there are two main types of regional campaign scenarios; a business that owns physical addresses in the target areas, and one that targets regions without additional addresses. Or, if they are using a mobile, where their location can come from their GPS, browser setting, cell tower location or Wi-Fi setting. So, having an address in the target region is a great advantage. Google likes physical addresses to back up regions people are claiming to have a presence in, and will take note of every place you have used your NAP (commonly known as citations). 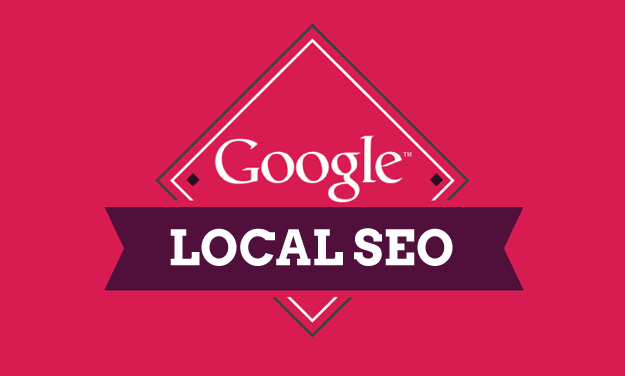 Places where your citations will be noticed the most include local business directory listings, local authoritative websites like a chamber of commerce for that town, Google places, Google + and of course on your website (ideally using *schema code using your address) to tie it all together. While this makes sense for delivering the most relevant result to the user, what if a business genuinely delivers their service to several regions, but they only have one address and want people to find them in those regions? If a business delivers to several regions, like a locksmith for example, but only has one physical location, it seems harder to gain a presence in those additional regions. But it isn’t impossible. If you genuinely deliver to a region, and want to make use of additional Google places, Google + (which are very influential now for local seo SEPRs), and directory listings, you can purchase a regional mail forwarding address and phone number. Although this sounds like an unfavourable option in Google’s eyes, I believe if you deliver to that region and are not misleading customers this can be justified. There are many business parks that rent out communal meeting room space as well as an address with mail forwarding, and call answering services. So I don’t think it’s entirely questionable to Google to get an address in this way. Often businesses optimise for regions that they don’t do much business in, but want the prestige of appearing for them, get ahead of the competition or just be visible everywhere. This is a waste of time and resource, and you will be competing with businesses that DO deliver to them and focus all of their time in appearing in the SERPs for. Maybe check out the population density on those locations using Wikipedia or census data, and how many web users there are. One way to check the latter is by setting up an AdWords account, which you will need to do for the next tip anyway, and under “settings” you can enter a region and the users will pop up under the field marked “reach”. Example: https://support.google.com/adwords/answer/1722045?hl=en Once you have decided, check local monthly search volumes for your keyword + area using the AdWords Keyword tool. You can also search in Google for the “Keyword +Area” you are targeting, to see how the competition appears. Tip: If there are a lot of results appearing at the top of the SERPs through their Google places and Google + listings, you know you really need to set up those accounts using addresses for your chosen regions, and possibly get additional address for the ones you don’t have. As a bare minimum you need to briefly mention the areas you cover on your home page, and link to area pages that you will also need to create. The area pages should include content about the area you are optimising and the address for that area (if you have one) wrapped in schema code. Use local schema code types like location, geo tag, authorship and many more. Schema code (schema.org) is a standard of code that you wrap around important bits of info you think are searchable by search engines, like the local cinema listings that pop up when you search for a movie – that’s schema working. By using this code you are making it easier for Google to pick up important info which it then displays as Rich Snippets. Check out this great guide by Chris Silver Smith of Search Engine Land: http://searchengineland.com/13-semantic-markup-tips-for-2013-a-local-seo-checklist-143708. There are many other on-site things to consider, as well as off site but I will cover these in later posts. Hope you found this useful.